Moving out of the home prior to having it staged for the real estate market was the successful marketing strategy formulated for this home. Staging this beautiful, yet vacant home in a very desirable Exton, PA neighborhood in the Downingtown School District was all part of the original and successful marketing strategy employed by these very wise sellers who chose in advance to move out of their home and have it staged before putting their home on the market. 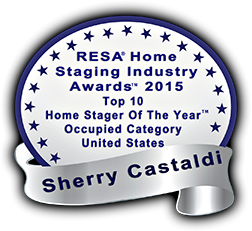 Living in a staged home can be difficult to say the least. 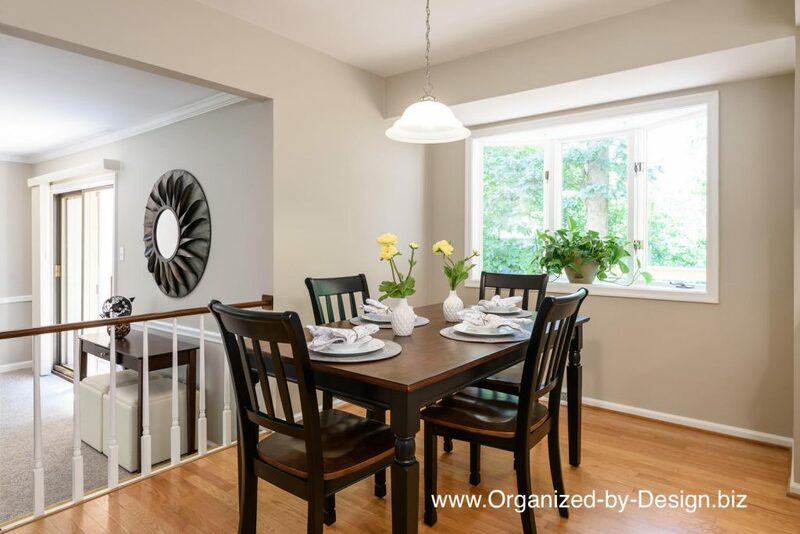 The paint color Organized by Design recommended was Sherwin Williams 7043 Wordly Gray for the first floor and stairwell. 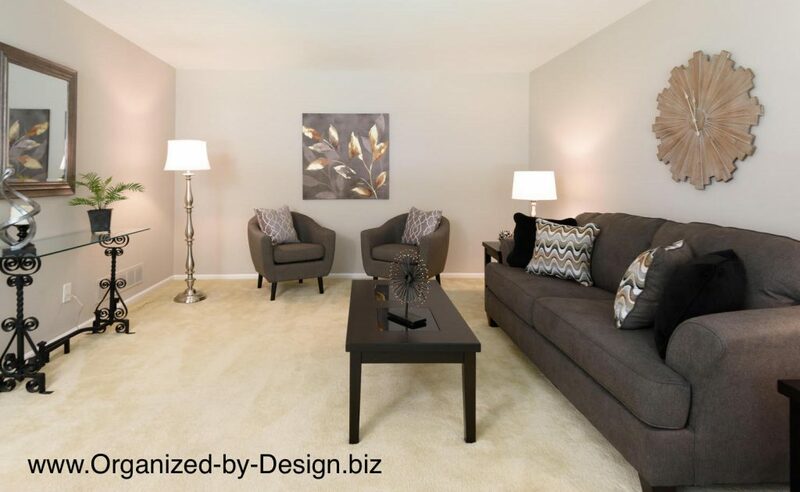 This particular color worked well with existing carpets, ceramic tile and of course, the hardwood flooring. 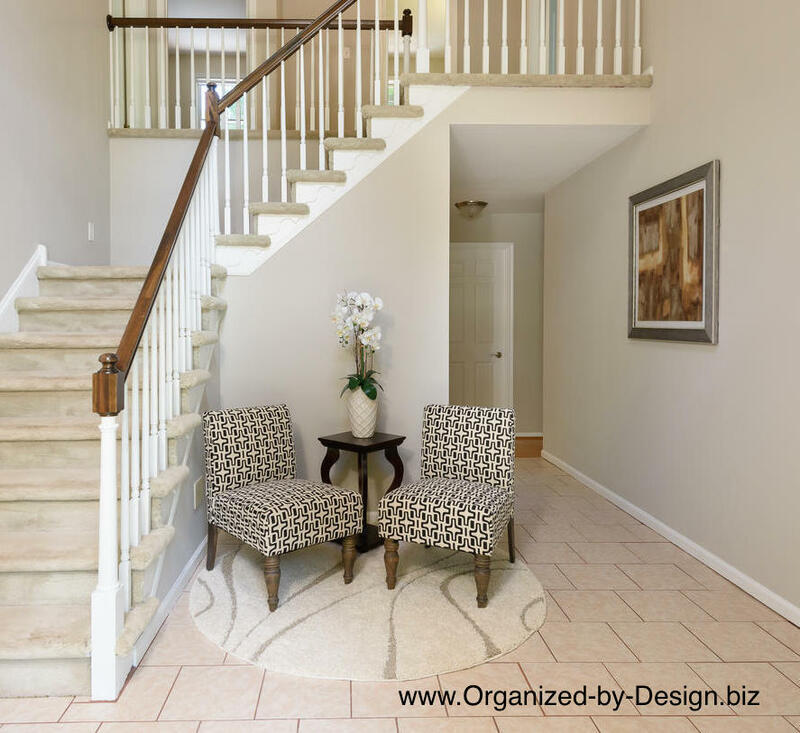 Staging the foyer gave a beautiful first impression to buyers upon entering the home. The Living Room although large, did not boast much in architectural features. 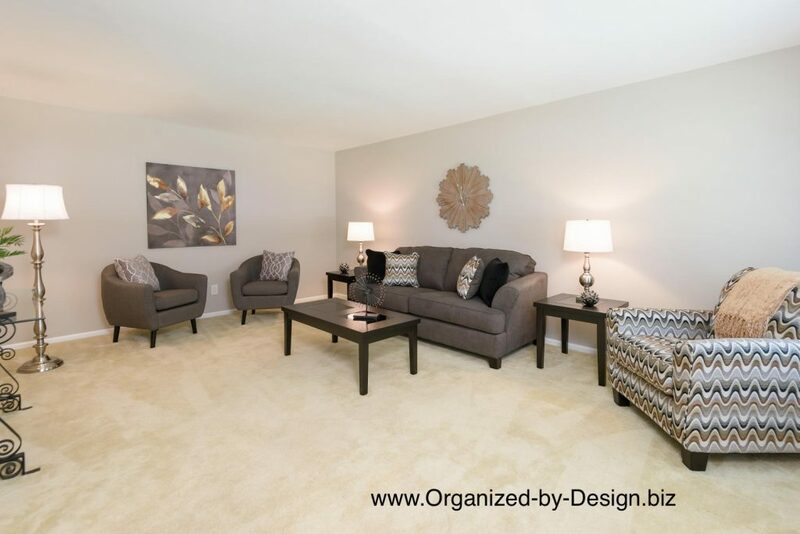 We dressed it up with furnishings provided by the staging pieces. 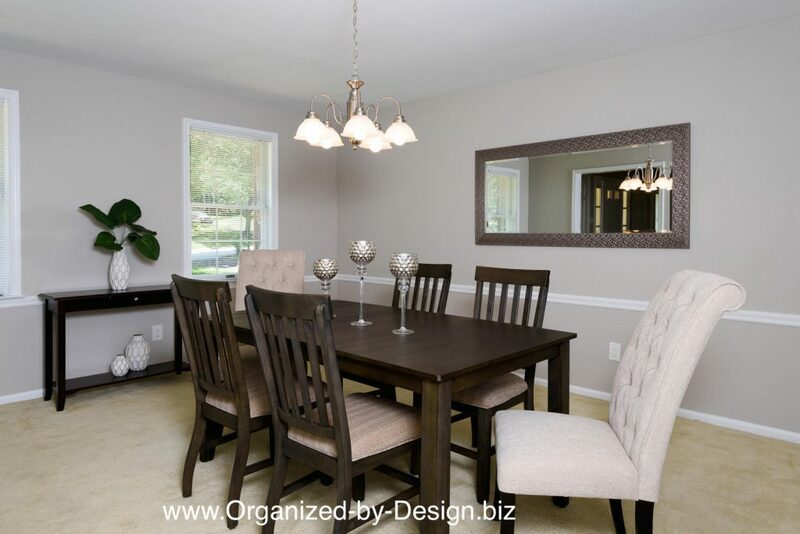 The Dining Room took on a whole new elegance once staged. And who wouldn’t enjoy breakfast with a bay window in the eating area of this kitchen? 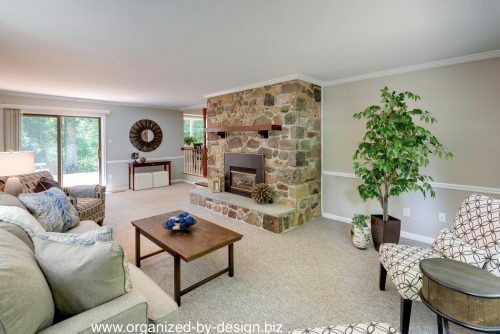 Imagine relaxing by a warm cozy fire from this gorgeous stone fireplace in this family room with two more beautiful bay windows! Let’s face it, there is enough stress for sellers to deal with when getting ready to move. Why not turn the aesthetic preparation over to a professional stager to handle that aspect of the process for the best results? 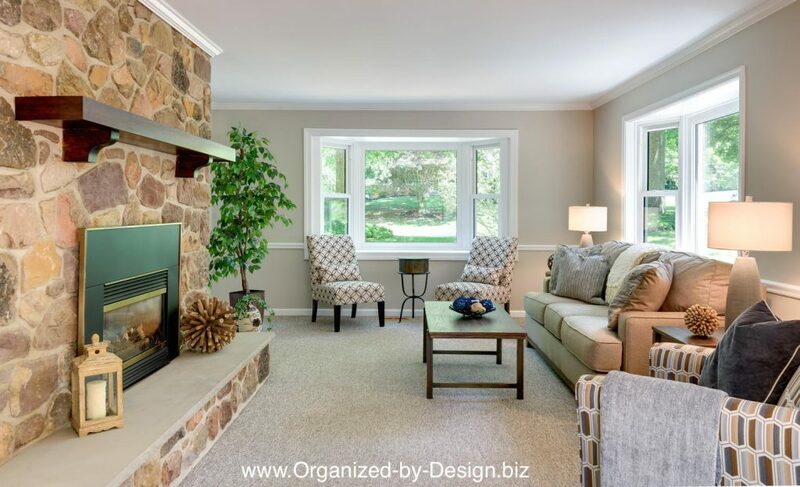 Helping sellers achieve those positive experiences and successful results is always our goal at Organized by Design for all of our clients.